Washington State is one of the pioneers of youth advocacy in the mental health field. In 1999 King County Division of Mental Health Chemical Abuse and Dependency received a System of Care Grant called Children and Families In Common. Catherine Follett was the Project Director at that time and had a vision for youth involvement in the grant. Catherine Follett, Stephanie Lane and the Children’s Medical Director Dr. Charley Huffine had an idea about a group of youth with lived experience in mental health that could advocate for their rights and provide peer support to each other. The purpose of the group in the beginning was to provide a natural support system and a continuum of care for youth after they left the formal support systems they were involved in. The group that was formed was originally called Health ‘N Action! And then became Youth ‘N Action! The group has changed its name to Youth Sound while one remaining Youth N Action chapter remains in Spokane WA. The youth in the group did more than provide support for each other and advocate for each other; they changed the game for youth involvement in the systems that serve them permanently. They did this on a local and national level for the next seven years. The youth movement was modeled after the family movement in that they advocated for voice and choice in the decisions made about their lives. Youth ‘N Action traveled to the first Surgeon General’s Conference on Children’s Mental Health in the year 2000, which was held in WA DC. This is where they met other youth who were on the outskirts of organizing for themselves and Youth ‘N Action was able to talk to the Surgeon General Dr. Satcher, about their ideas for youth peer support and advocacy. They were able to help others form groups in their own respective communities. This was the beginning of the youth movement. At that time, there were few youth invited to national mental health conferences in a meaningful capacity other than they were attending with their parents. Now, through much advocacy, youth have “youth tracks” at several national conferences and their voices and choices are respected in the systems that serve them. 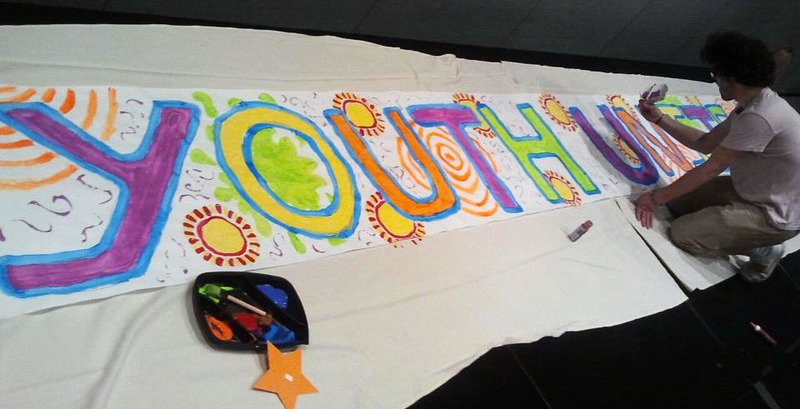 Youth ‘N Action, was one of the three first youth organizations in the nation dedicated to the rights of youth in the mental health system ran by youth for youth. Now there are many local and national youth organizations modeled after the Youth N Action framework. Youth Sound is currently providing technical assistance to the Youth and Family System Roundtables across Washington in ten regions among all of the other organizing and advocacy work they do (web site link here). The current director, Lorrin Gehring, is working closely with youth around the state in order to enhance youth voice and choice in the systems that serve them.